Danco.com – A new web presence! 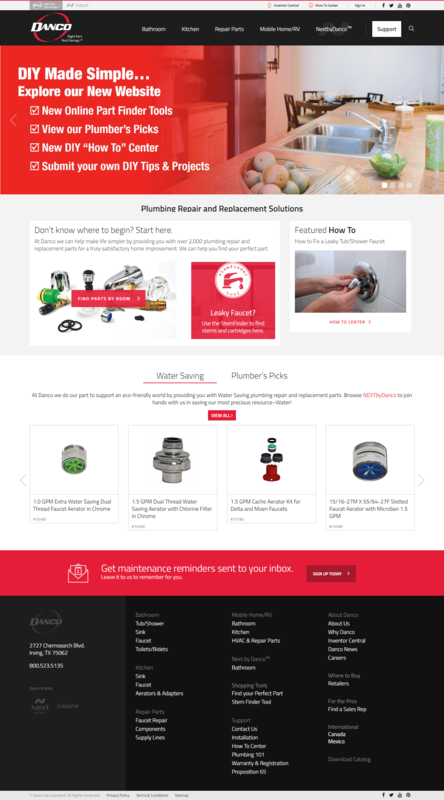 Danco provides over 2000 plumbing repair and replacement parts online that have greatly helped customers find the perfect part for their DIY home improvement jobs. 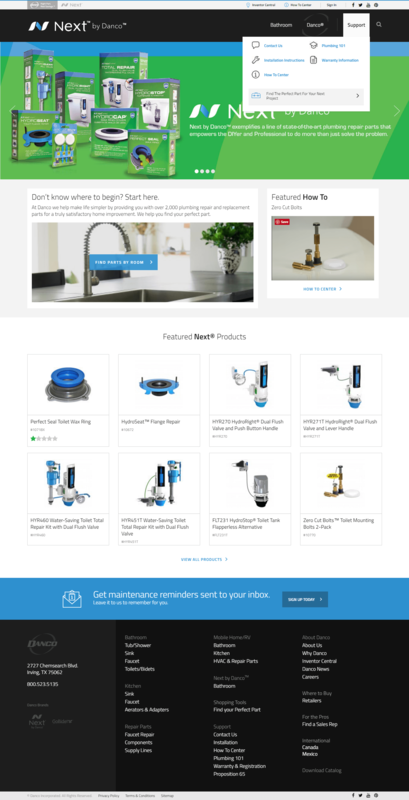 Danco’s plumbing repair parts have the most practical designs that are easy to use and work with and make plumbing jobs easy. Danco’s existing website was outdated. They required a new site that would be designed as per the latest trends in web design. It also lacked intuitive features such as ‘find your product’ that helps customers while browsing plumbing parts on online. Other than this, it was not responsive and did not cater to the needs of mobile customers. A new website with a professional web design. 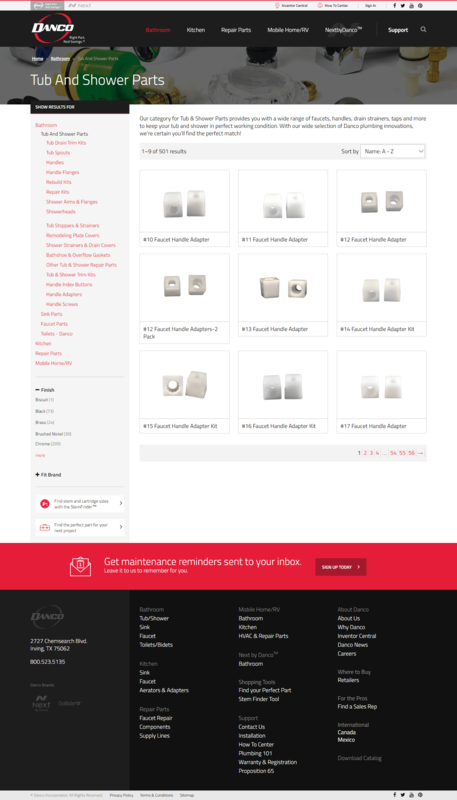 Intuitive designs with features that help customers find parts by answering simple questions. The ability for customers to add a Wishlist to add projects. 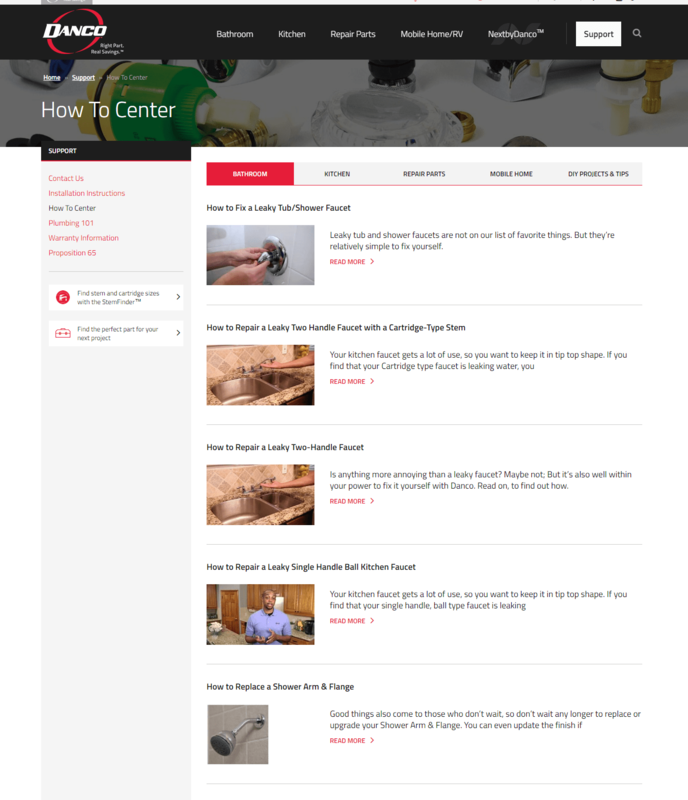 A How-To center with videos that experts at Danco, as well as customers, can upload. Responsive web designs to cater to the need of mobile customers. Taking into consideration the client’s requirements and features requested, a CMS driven website using WordPress was developed for this project. 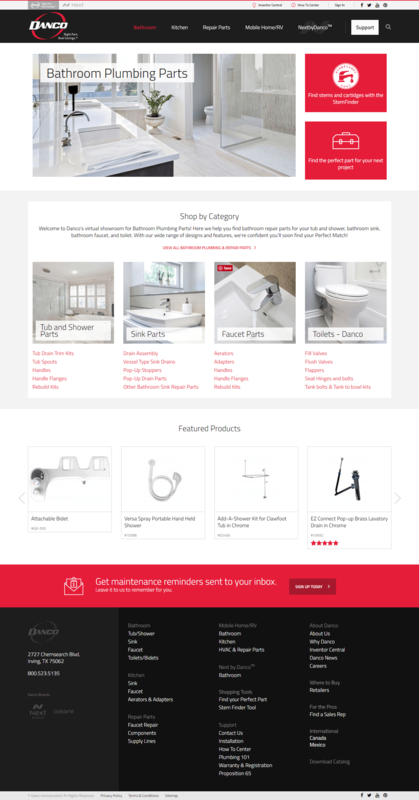 The Pulse Team created a website with new and improved features that made it more interactive and convenient for users while they browse and find plumbing products online. A user-friendly website built with HTML5, CSS3, WordPress, Responsive Web Design, Ajax, Jquery, MYSQL. Stem Finder and Part Finder system which allows customers to find replacement parts by answering a few simple questions. Add to Projects feature which is similar to a wishlist. A ‘How To’ Center, with videos for simple DIY home improvement jobs posted by Danco. Providing users the ability to upload their own DIY videos. Responsive web design that displays well on all screen sizes to cater to the requirements of mobile users. Increased number of visitors to the site. The improved features greatly improved the customer satisfaction too. The website was made responsive so that it displayed well on all mobile devices. The website was live within a short span of 5 months. If you are looking for modern, user-friendly features for your website, our developers have just the right solutions for you. Contact us, for more information.